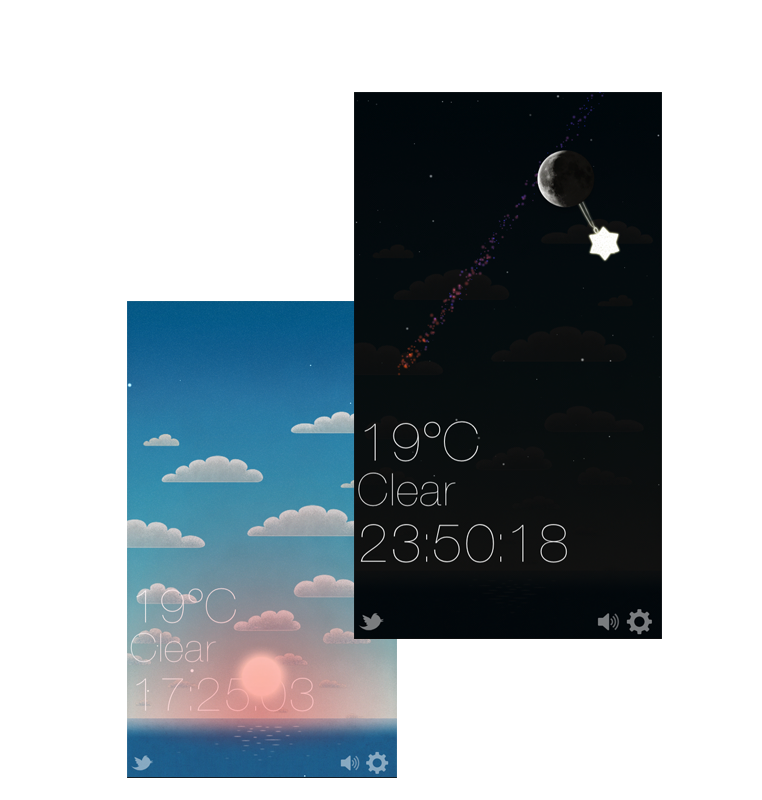 An app that displays time and weather of your location in a beautiful way. With beautiful animation on the screen, your weather never looks so great. And at night, you get current phase of the moon in your location. Easily share your weather information through Twitter, Facebook and other social network services. Get it now for $1.99 on the App Store!